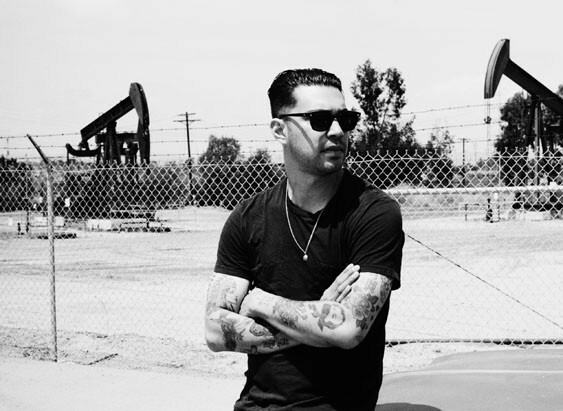 Hanni El Khatib is a singer-songwriter and musician based in Los Angeles. El Khatib is of Palestinian and Filipino descent. He grew up in San Francisco, where he became an avid skateboarder. He performed music on the side while working as creative director at skateboard fashion label HUF. He has released two singles on Innovative Leisure, a subsidiary of Stones Throw Records. His debut album, Will the Guns Come Out, was released on September 27, 2011. He describes his songs as being for anyone who has ever been shot or hit by a train. His musical style includes elements of garage rock, blues, and doo-wop. During live performances, El Khatib is accompanied by drummer Nicky Fleming-Yaryan, a friend from high school. They performed at the South by Southwest festival in March 2011, and at Bonnaroo in June 2011. They have opened for Florence and the Machine.